In Noh, a classic drama of Japan, actors wear masks to show different facial expressions. 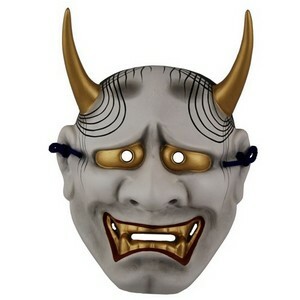 The hannya mask, with pointed horns and metallic eyes and teeth, represents a vengeful and spiteful woman turned demon. This mask ornament is designed to be used as a wall hanging. Made in Japan.